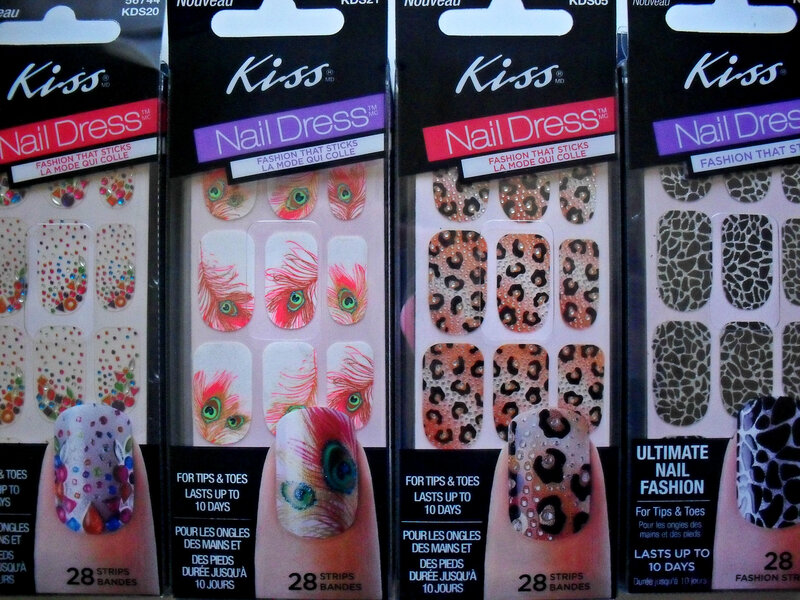 Probably one of my most favorite brands is Kiss and their sister brand Broadway nails. The other day I had an event to go to, however I had no time to do my nails – and believe me, they were not looking pretty! So on my way out I grabbed one of the nail dresses that I had on hand and applied it on my way downtown where the event was held. At the event my nails were complimented not once, but twice – and it’s always nice to receive compliments on your nails, especially when you didn’t have to put in lots of time or effort to make them look as good as they do, lol! I’ve written about Kiss Nail Dress before – which you can check out here, but I just wanted to update you on the Nail Dress options and the one’s that I like to keep on hand. I’m a stereotypical New Yorker in that I tend to wear a lot of dark colors (who am I kidding, if I could I’d dress like Johnny Cash all the time – all in black), so playing with accessories and my nails gives me that much needed pop of color. The nail dresses from left to right are Peignoir, Push-Up, Princess, and Shrug. I first tried Shrug back when I received my Love VoxBox almost a year ago. I loved it so much that I always make sure to have a set of them on hand. I remember at first being iffy about the style, and then I put them on and was surprised by how much I actually like them. I picked up Princess and Peignoir at the drugstore, I haven’t tried them yet, but I’m always surprised with how good Kiss Nail Dress looks that I’m sure these will look super pretty. I received Push-Up, the set I’m most excited about in my latest VoxBox- the Holiday VoxBox. It’s super pretty, and I love the green and hot pink feather design. It looks perfect for Spring and/or Summer! 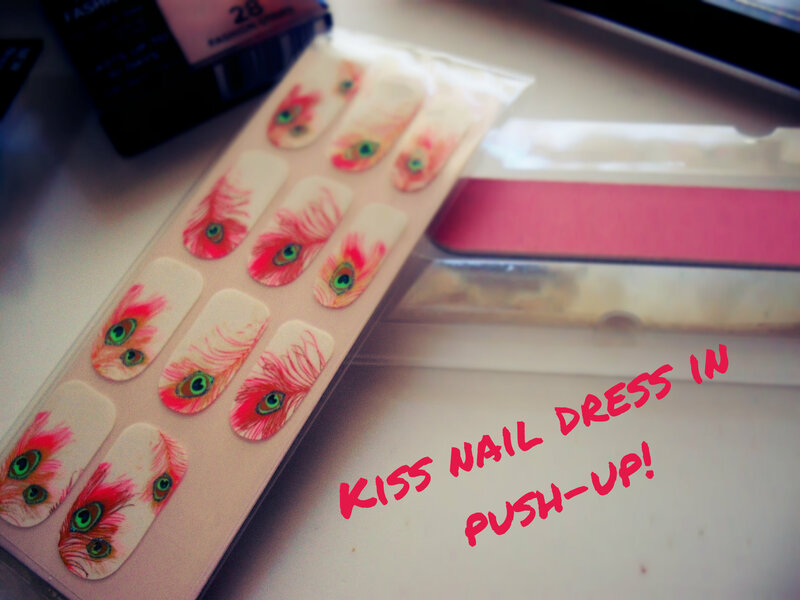 At the time I’m writing this I’m still rocking my Impress Nails, so I can’t show you what Push-Up looks like on – but you can see lots of reviews and pictures on the Kiss Nail Dress review page on Influenster here. Want to see more? Check out Kisses other Nail Dress designs here! 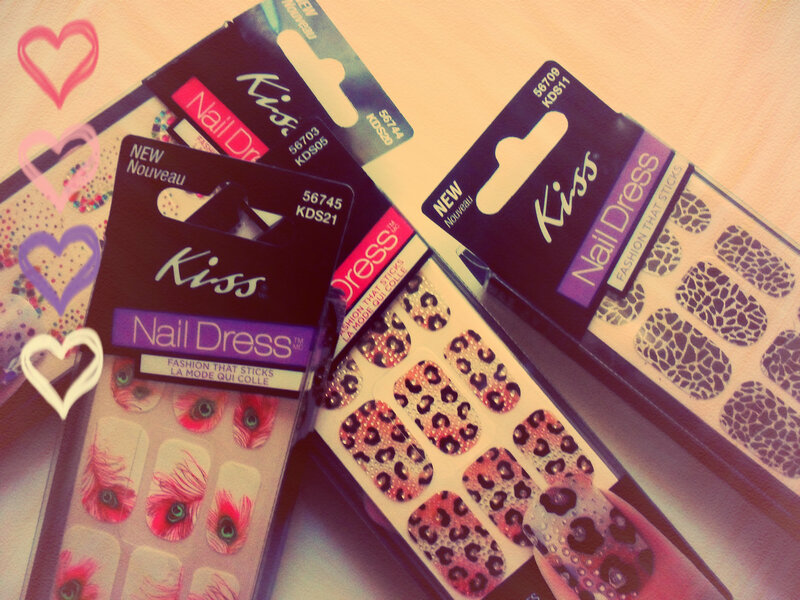 Have you had the chance to try out Kiss Nail Dress? What designs would you like most to try? * I received this product complimentary for testing and review purposes from Influenster. I am under no obligation to review said product. All opinions presented are my own and are not influenced in any way, for more info see my PR tab above! Previous Post Free Glasses with Firmoo! Next Post Purex Crystals for Baby Review and a FLASH Giveaway!